Complex pool and garden area . On the 3rd floor of block Renoir within the Royal Savoy complex, The block has two lifts for access to the swimming pool/beach/car park levels. 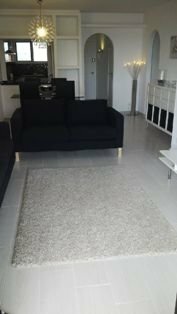 As well as 2 bedrooms and 2 bathrooms, there is a dining area, fully fitted kitchen, lounge area and balcony 'Mod cons' include a Sky Box, Ipod docking station, air-conditioning unit to master bedroom & Lounge), washer, dishwasher, oven, microwave. Rent includes weekly cleaning and linen change. Cala Vinyas boasts a luxury spa situated in the hotel on the beach plus a small selection of restaurants and cafes along with The Royal savoy's very own bar and restaurant, you will also find tennis courts and ample parking facilities. 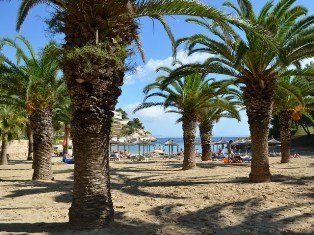 It's a quiet bay, 25 mins from the airport and far enough from Palma Nova and Magalluf to provide some peace while near engough to access the fantastic selection of restaurants, bars and other entertainment including aqua parks and go-karting.